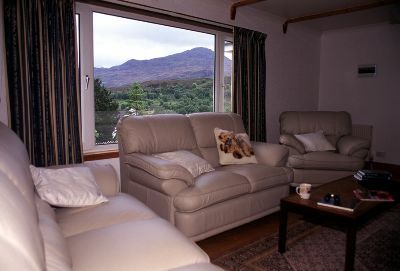 Spacious lounge (20 feet by 12 feet) with panoramic views over Kyleakin village an the 14th Century Castle Moil to the Sea, Loch Alsh, Loch Duich and the Kintail Mountains beyond. Comfortable Leather Suites Seating Six. Panasonic 50" Plasma Television with Freesat and Blu ray player. 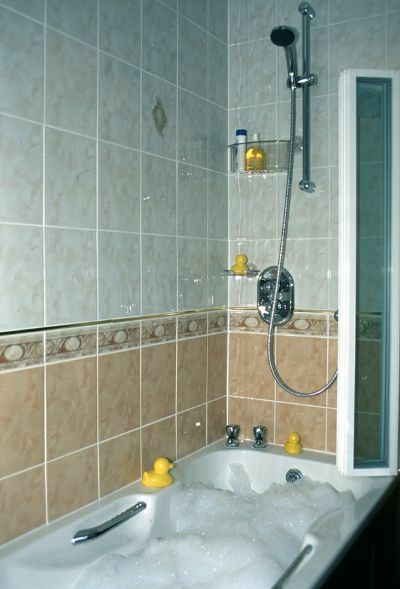 Fully tiled bathroom with bath, w/c and shower. 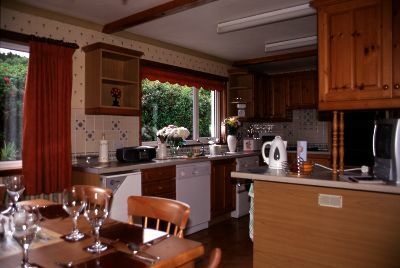 Inver Rose has three bedrooms, two double, one twin. 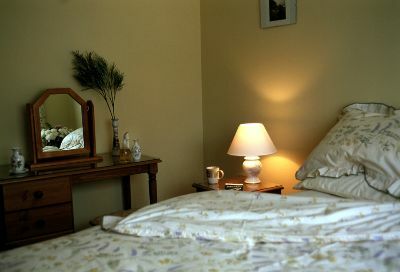 To maximise space, the twin room is arranged as bunk beds, although each bed is a full size single bed. 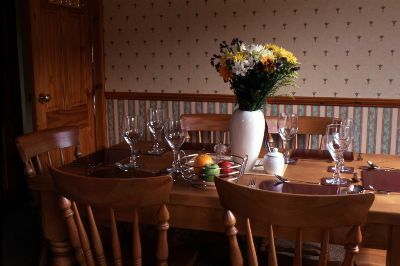 One bedroom shares the magnificent Sea and Mountain views mentioned above. The garden is over 1/3 of an acre with all round wonderful views.